This tip works on the simple logic where Cafe World has always been allowing you to send multiple gifts to the same person. Well, for those who do not know (I know there are lots of you as I get a lot of requests to send these tools to complete your Lightning Stoves), this tip will allow you to easily gain the required tools to complete your spics rack/lightning stoves in just seconds. 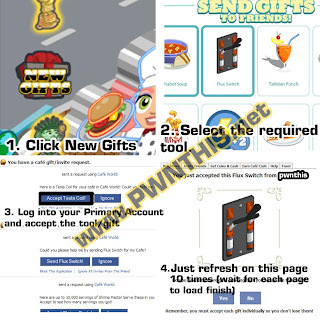 So you do not have to spam your friends with requests. 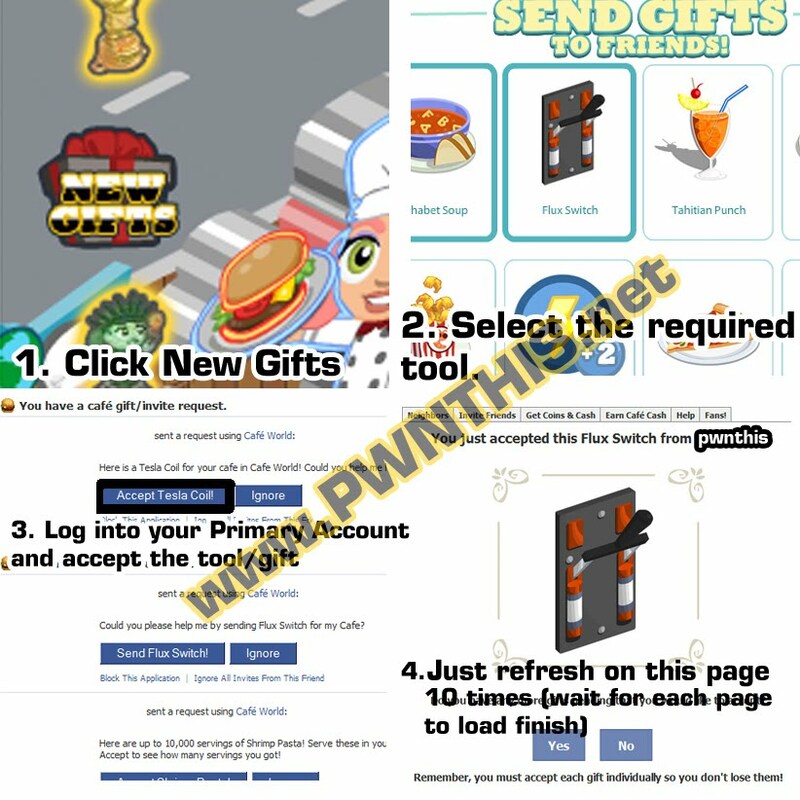 Also, this tip works for ANY items including VIP dishes which is what the cafeworldgifts site has been providing to the community. Log into your secondary account or get a friend to send you the item you want. Click Accept and you will see that page telling you that you have accepted the gift. Just refresh this page 10 times. Alternatively, you can right click and open new tabs when you click "Accept Tesla Coil" so if you open 5 tabs, you just refresh twice per tab.